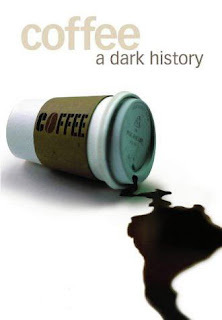 "Coffee is the second largest traded commodity (after oil) in the world. The market for take-away coffee is worth $100 billion dollars at present. This market has trebled over the past decade. The export of coffee (in income) doubled in the past 5 years alone"
It should be noted that roughly 30% of the value generated remained in Central America and 70% was raised in Europe. This brings us back the statement we started off with, in spite of such great demand for coffee why the producer (farmers) are at the bottom of the ladder as far as the beneficiary statistics is concerned? To understand this, we need to find out where is this coffee coming from? An estimated 25 million small scale farmers are involved in producing coffee around the world. Total coffee production amounted to 7.8 million metric tons in 2006. Nearly 10 billion worth of coffee was exported from Latin America, Africa and Asia, mostly to Europe and North America. Brazil, Columbia and Vietnam were the main exporters with market shares of 30%, 15% and 5% respectively. In addition, many African countries are important exporters of coffee. In particular, coffee is the main export earner of Uganda, Rwanda, Burundi, Ethiopia and Burkina Faso. During much of the colonial period, the colonies exported primary products like sugar, coffee, wheat, rice, cocoa, rubber, cotton, jute, palm-oil, etc., to the imperial powers and imported their industrial products. This pattern persists, with a few exceptions (more on it below), to the present day. To understand why it happens, we need to understand what Terms of Trade means: TERMS OF TRADE DEFINED AS THE FRACTIONAL PERCENTAGE DIFFERENCE BETWEEN THE PRICES OF PRODUCTS EXPORTED AND IMPORTED BY A COUNTRY. Down the years, the primary products producing countries have suffered both deterioration in the absolute prices of the commodity they export and in the terms of their trade. The economic reasons are varied and fairly simple to comprehend. During colonial rule till today, the development of colonial economics shows that colonies gained little from trade with the imperial powers. It should be noted that coffee is exported in its raw form (beans) and further value additions (roasting, grinding, etc) is done in the Developed countries. Brazilian companies in 1960s tried their best to directly sell instant coffee in the US markets. Though they managed to get a foothold in the US markets they were accused of ‘unfair trade’ practices by the US state department. The “worsening the terms of trade for primary products” is an optical illusion. It results from a mistaken identification of the exports of the rich countries with the export of manufactured products and the exports of the poor countries with the export of primary products. More on this issue and its various dimensions are available in the unabridged text by Shiv Sethi in his research paper. Interested in reading the full text? Catch it on…..
We go about our lives everyday zapping through channels and seeing the worsening fate of the African and South American countries, go about ordering vanilla topped mocha coffee and live among the rich or going to be rich mentioned countries. There is so much brewing over the cup of coffee we drink and we know so little about it! Imperialism still continues ….well in a more dignified manner and in falsified economic capers. Time to smell the coffee and WAKE UP!! And awaken the others too….